How to Extract Background Music From An Audio Track? If you are a karaoke enthusiast and want to practice your skill on some previously recorded songs, the problem is that another singer is already singing the lyrics. If you want to practice on this song, you need to extract the background music from the song. 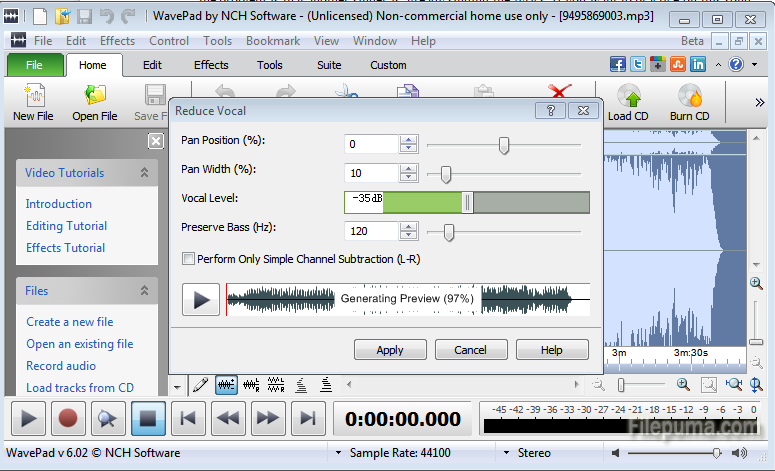 With WavePad, you can get the background music easily. Step One: Download WavePad and install it on your computer. Step Two: Launch the program and load the song you want to extract by clicking “File”–”Open file”. Step Three: Click “Edit”–”Select all” to select the entire audio waveform.